Adam Lallana admits Liverpool were not clinical enough during their Champions League defeat against Red Star Belgrade in Serbia. Jurgen Klopp's side made a slow start and were punished after Red Star's Milan Pavkov netted twice in seven minutes to give Liverpool their second defeat in the competition this season. Lallana says they are accountable for their actions, and expects there to be a positive response after the latest setback. "We had chances and we came out at the start of the second half which was better, but we weren't ruthless enough and we weren't patient enough," Lallana told the club's official website. "Of course there will be a reaction. It's not the first time we've lost games and it's about how you react and how you bounce back but we are thoroughly disappointed to come away with nothing. 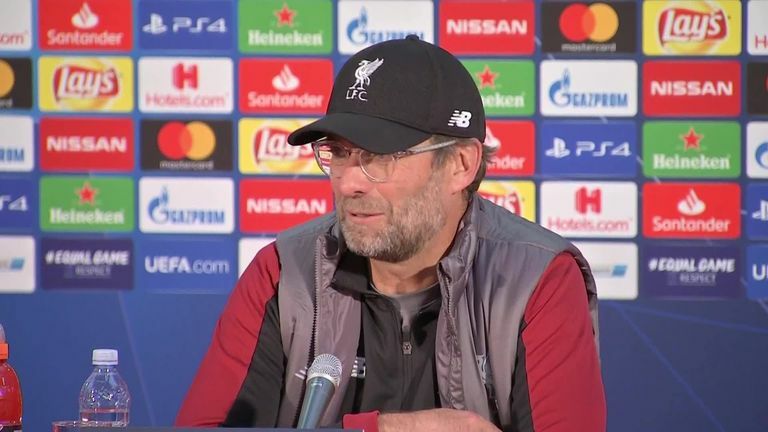 Liverpool manager Jurgen Klopp says they have to play better in Paris against PSG to avoid a third straight away defeat in the Champions League. "They time-wasted and we lost momentum but to come in 2-0 down wasn't like us and we've got to take full responsibility and make sure that doesn't happen again." Liverpool's qualification hopes remain in their own hands after the draw in Naples between Napoli and Paris Saint-Germain left Liverpool level on six points with the Italian side at the top of Group C.
They next face PSG, who are third with five points, at the Parc des Princes on November 28 up before meeting former Chelsea boss Carlo Ancelotti's Napoli on December 11. "That's the Champions League and there are no teams that enter this competition that give you wins," Lallana said. "We knew it was going to be completely different to the game at Anfield a fortnight ago but it wasn't to be. It wasn't like us. We need to move on and improve if we are going to go through to the knockout stages."